Shiny silver finish and elegant house shaped tag. 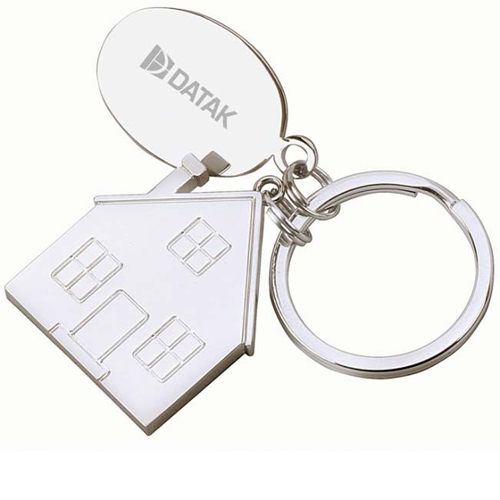 This Stainless steel keychain is great for real estate agents promoting their business or as a customer appreciation gift. Velour Pouch / 20 lbs / 200 pcs.